4.5 out of 5 based on 28 bloggers and 5 commenters. 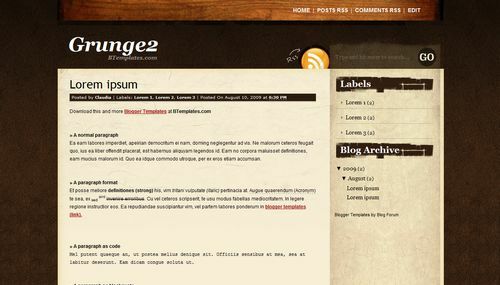 Grunge2 is a free blogger template adapted from WordPress with 2 columns, right sidebar and grunge style. Is there anyway to add a twitter feed to this template? Chrome claims this template has malware! How do I fix this so people can come to my site? !